I took part in probably the most Canadian experience possible over the Canada Day long weekend: rafting down the Ottawa River and kayaking on whitewater rapids. 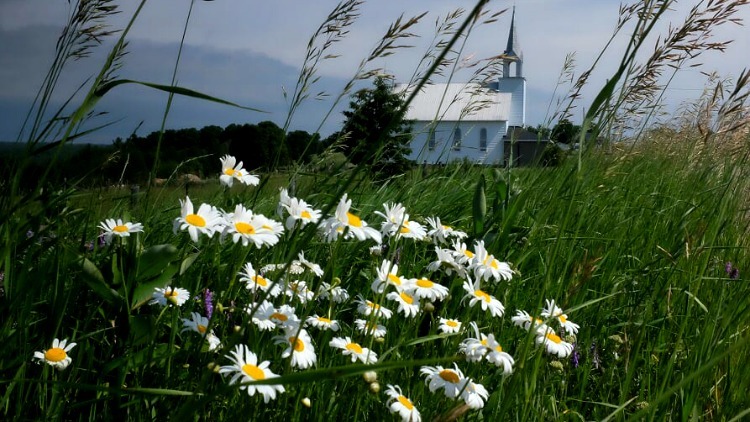 I woke up early in Toronto on Saturday to drive through the Ontario countryside, passing by towns decorated with red and white flowers and Canadian flags for the holiday. If you have ever driven this way, you’ll know that the journey to the Ottawa Valley is incredibly pretty; I had to stop to take a few photos of the rolling hills and pick up Canada Day-themed cookies along the way. The beauty of the Ontario countryside is worth the drive to Ottawa. After a few hours, I arrived at OWL Rafting, a large and rustic resort on the banks of the Ottawa River. A team of incredibly tanned and good-natured guides got us up to speed on rafting safety protocol; sent us to grab our paddles, helmets, and life jackets; and put us on a bus to the starting site. Once there, we hopped into the rafts and practiced paddling techniques that even novices like me could follow. Then, we embarked on a journey down the river, going through rapids and often paddling to the top of them a few times and rafting back down them again. 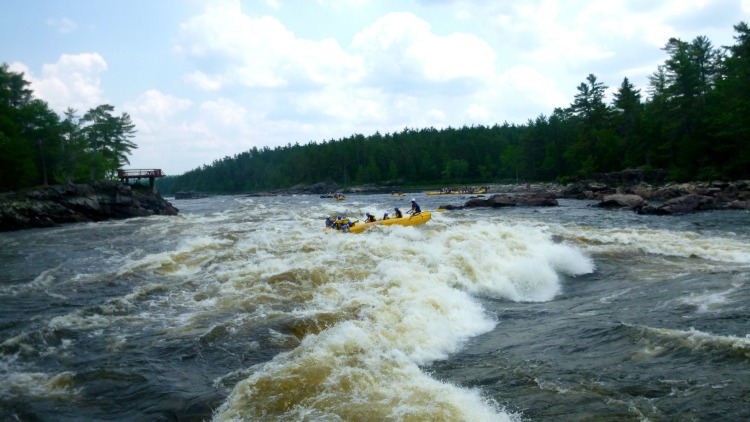 As we tackled the rapids, I noticed around twenty or so kayakers trying the whitewater as well. I began to get excited about the prospect of kayaking down rapids on my third day. When the humidex is nearly 40 °C (that’s a number we Canadians use to describe how hot the weather feels to the average person, by combining the effect of heat and humidity), jumping into the river becomes entirely necessary. Image courtesy of OWL Rafting. It was an absurdly hot weekend in the Ottawa Valley so everyone wanted to take a dip in the river. As we jumped into the water to cool down from the scorching heat, our knowledgeable and hirsute guide, Tanner, told us of a rapid named “High Water Colosseum” awaiting us downstream. “It’s the second largest commercially-run rapid in North America,” he said, before asking each of us if we were certain we wanted to tackle it. Being largely unafraid of things I should be afraid of, I said “definitely,” and we continued to float down the river. After paddling through a few more rapids, we arrived at the top of High Water Colosseum. While I am no expert on rapid types, I can assure you that this one was BIG. I was a little nervous initially, but we went through the safety protocols again and I felt confident enough afterwards to give it a try. We drifted up to the rapid and then paddled as fast as we could through the river, holding onto the boat at the last minute as the waves almost entirely engulfed us. But we made it! We even managed to keep our boat from flipping over, so that must be a sign of success! 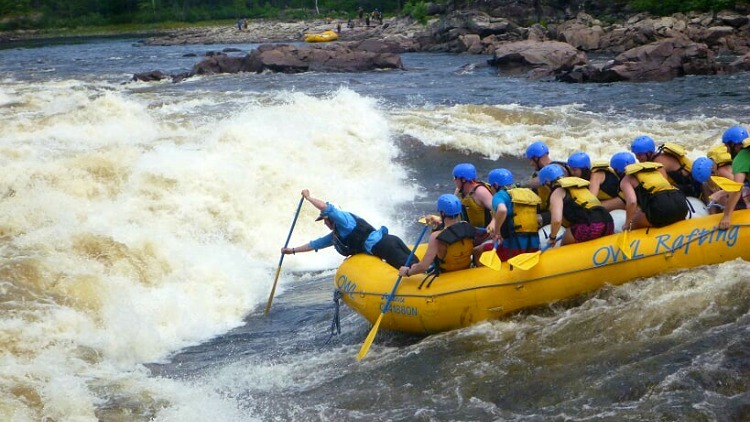 Adventure Rafting on the Ottawa River down the “High Water Colosseum” rapid. Image courtesy of OWL Rafting. After rafting along a little more, we traveled to the barge where OWL staff were preparing a barbeque lunch. I don’t know if it was the full day of exercise or the locally-sourced food, but that was one of the best meals I have had in a long time. I was tired and sated and, unsurprisingly, my fellow rafters were in good spirits too; sun, water, exercise, fresh air, and a good meal are a great combination. 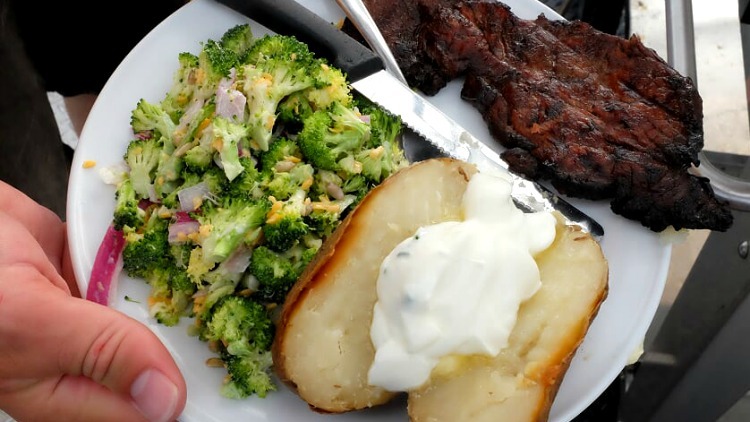 After a long day of paddling, the food on the barge ride back was to die for. Lucky for me, I had another full day of whitewater rafting on the Ottawa River to look forward to. After Adventure Rafting on the first day to get my bearings in the larger boat, I went Sport Rafting on a raft that fits only seven people. Both were very fun and safe but as I am less afraid of rapids, I liked the smaller boat better. The smaller sport raft is a little more of a challenge if you’re up for it! At night, OWL Rafting sets up activities like fireworks for Canada Day or a concert on the Saturday night. Being a naturally cynical person, I was surprised by how good the music was and how many people gathered around to listen to it well into the night. Walking back from the concert at midnight, I looked up to see the stars that the light pollution of Toronto hadn’t hidden from view. Then I settled into my lovely and comfortable cabanya for a long rest before my next day on the water. 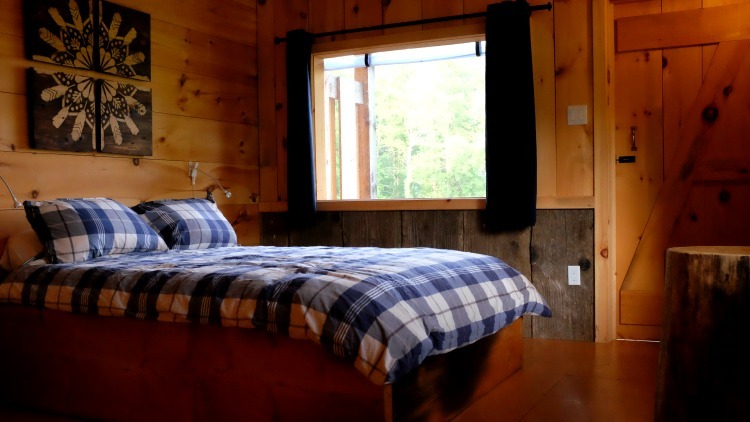 The cozy cabanya where I rested my head at OWL Rafting. 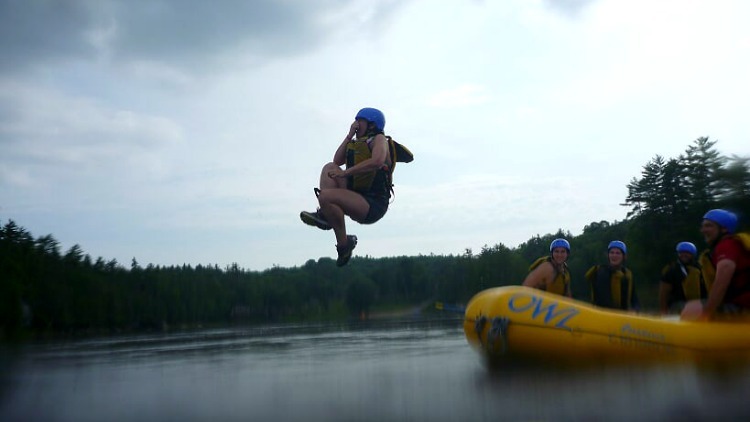 Thank you to OWL Rafting, Madawaska Kanu Centre, and Destination Ontario for sponsoring this trip. Solo Traveler maintains full editorial control over all content on this site. This post is part of a series of weekend trips we are taking in Ontario this summer. 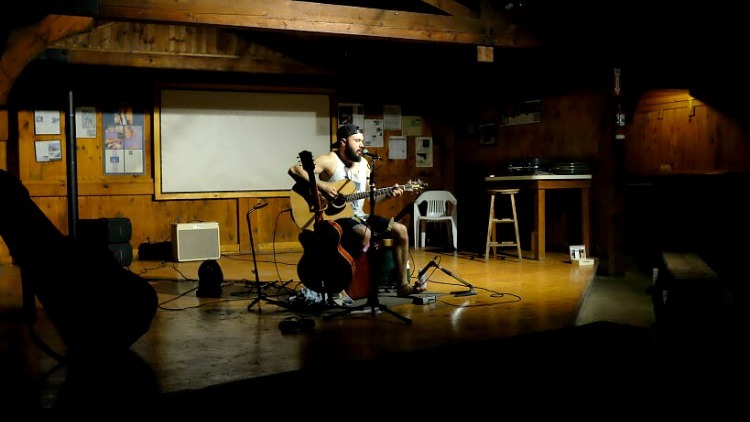 You may also enjoy Bettine’s post, Adventures in Glamping: Georgian Bay, Ontario.